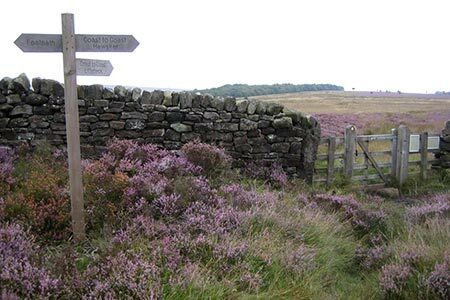 A North York Moors walk exploring the moors and countryside southeast of Sleights. The route follows sections of the Coast to Coast long distance trail and has fine views throughout. A GPX File is available for download (see walk description).